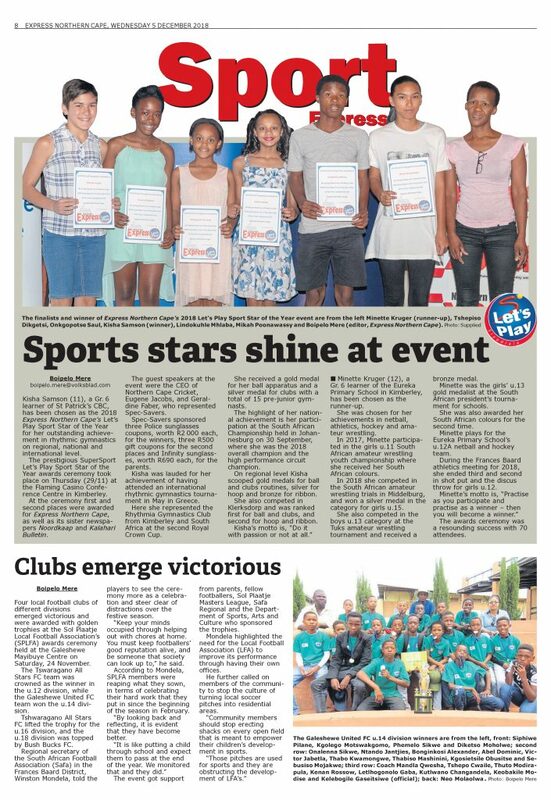 The prestigious SuperSport Let’s Play Sport Star of the Year Awards for the Northern Cape newspaper, Northern Cape Express, Noordkaap and Kalahari Bulletin, was held on Thursday 29 November at the Flaming Casino Conference Centre. First and second places were awarded for our newspaper partners. Our guest speakers for the day were the CEO of Northern Cape Cricket – Eugene Jacobs and Geraldine Faber representing Spec-Savers. Spec-Savers came on board by sponsoring 3 x R2000 Police Sunglasses coupon for the winners as well as a 3 x R500 gift coupon for the 2nd place winner as well as two pair infinity sunglasses worth R690 each for the parents. Brenda du Toit achieved second place. Brenda is a versatile athlete with various awards. She has been appointed as best track athlete at various events for the year and achieved several first places in various items. What is outstanding in Brenda’s achievements is that she has been named as best track athlete for three years at the international athletics meeting between Namibia, Namakwa and ZFM region. She was also named sportswoman at her school and in the ZFM region by the Department of Sport, Arts and Culture. Kisha Samson (11), a Gr. 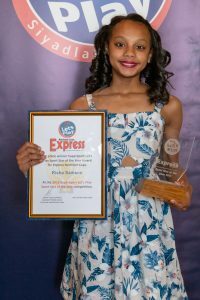 6 learner of the St. Patrick’s CBC, has been chosen as Express Northern Cape Let’s Play Sport Star of the year 2018 for her outstanding achievements in Rhythmic Gymnastics, which included at Regional, National and International level. Kisha attended an international rhythmic gymnastics tournament that was held on 19 and 20 May in Thessaloniki, Greece, where she represented the Rhythmia Gymnastics Club from Kimberley and South Africa at the second Royal Crown Cup. She received a gold medal for her ball apparatus and a silver medal for clubs with a total of 15 pre-junior gymnasts in her group. Minette Kruger (12), a Gr. 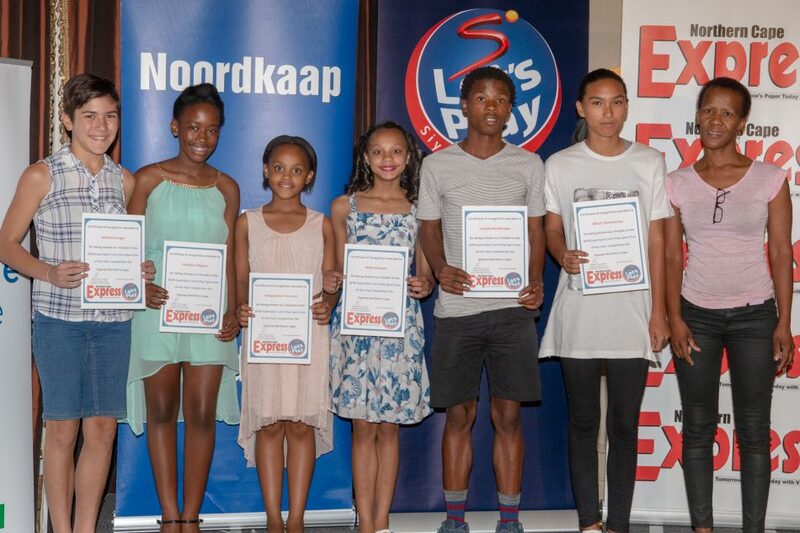 6 learner of the Eureka Primary School in Kimberley, has been chosen as the runner-up of Express Northern Cape Let’s Play Sports Star for 2018 Month for her achievements in netball, athletics, hockey and amateur wrestling. Minette was the girls u.11 South African amateur wrest­ling youth champion in 2017 and received her South African colours in amateur wrestling. This year, she competed in the South African amateur wrestling trials in Middelburg, and won a silver medal in the category for girls u.15. She also competed in the boys u.13 category at the Tuks amateur wrestling tournament and received a bronze medal. Minette was the girls u.13 gold medalist at the South African president’s tournament for schools. She was also awarded her South African colours for the second time. Minette also plays for the Eureka Primary School’s u.12A netball and hockey teams. At the Frances Baard athletics meeting for 2018, she finished third and second in the shot put and discus throw events for girls u.12. Congratulations to Minette as the runner-up! 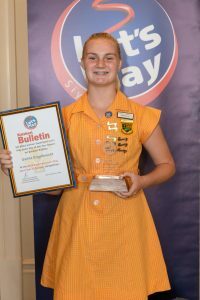 The winner of this year’s Northern Cape Let’s Play Sportster of the year’s competition is 14-year-old Marjuzel Venter! 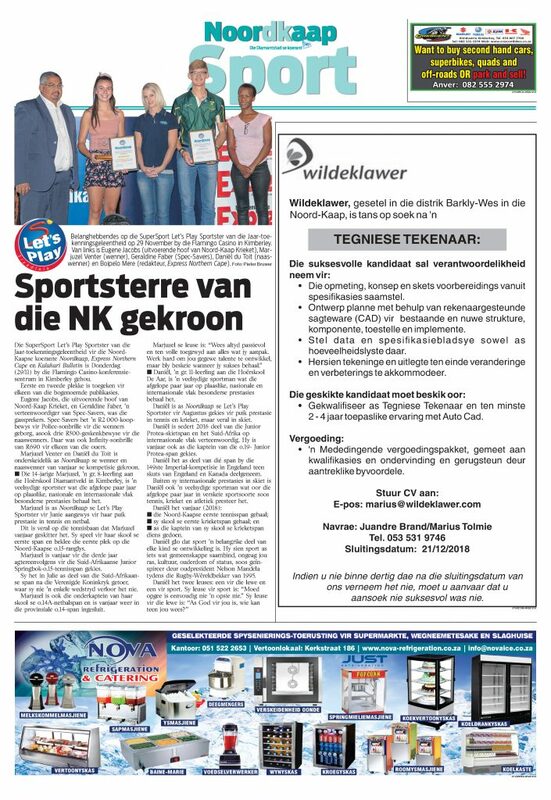 Marjuzel, a Grade 8 pupil at Diamantveld High School in Kimberley, is a versatile sports star who has achieved outstanding achievements at local, international and international levels over the last few years. 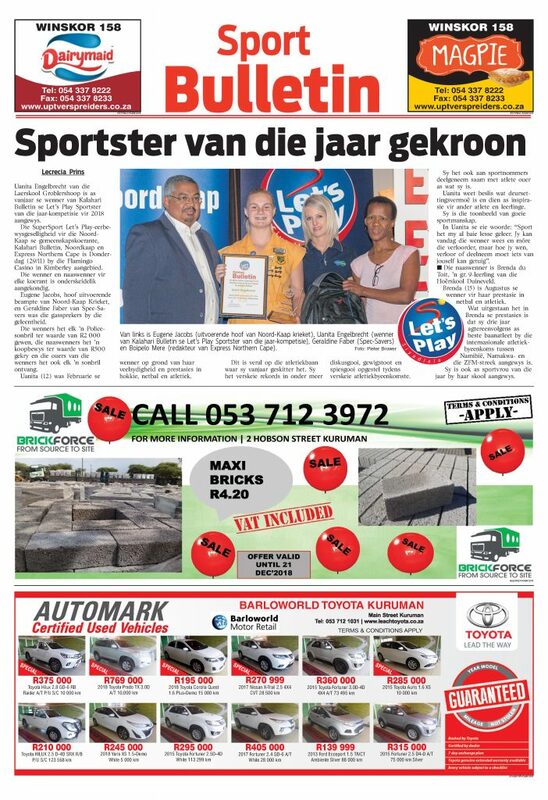 Marjuzel has been selected as June Month’s winner of the Northern Cape Let’s Play Sportster of the year’s competition for her excellent performance in tennis and netball. It is especially on the tennis court where Marjuzel shone this year. 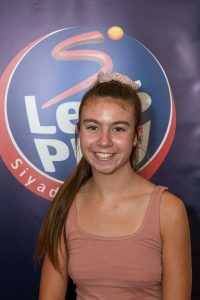 Not only does Marjuzel play for her school’s first tennis team, she also holds first place in the Northern Cape Provincial o.15 tennis rankings. Marjuzel has been selected for the South African Junior Springbok 15-year-old for the third year in a row. She went to the UK in July as part of the South African team where she did not lose a single game! Marjuzel is also the sub-captain of her school’s o.14A netball team and is included in the provincial o.14 team this year. 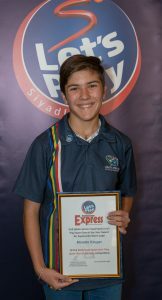 The runner-up of this year’s Northern Cape Let’s Play Sports Star of the Year competition is Daniel du Toit! 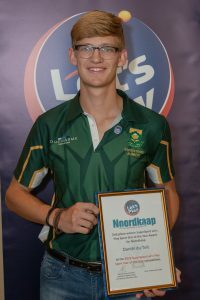 Daniel, a Grade 11 student at De Aar High School, is a versatile sportsman who has achieved outstanding achievements at local, international and international levels over the past few years. Daniel believes that sport is an important part of every child’s development. He sees sport as something uniting communities, regardless of race, culture, age or status as inspired by former president Nelson Mandela during the 1995 Rugby World Cup. Daniel has two mottos, one for life and one for sport.